Nova launcher has just received an awesome update today. While updates aren’t really needed to this already impressive home launcher we’ll gladly welcome additional improvements and options. 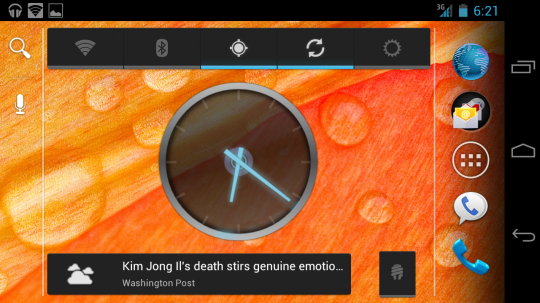 Nova Launcher brings even more tweaks and settings to your Android 4.0 Ice Cream Sandwich home screen. For those unaware, this is an Ice Cream Sandwich-based launcher that has tons of tweaks and options giving those that want to change their Android without root. One feature that was highly requested for Nova and many other launchers has finally arrived — infinite scrolling. You can now endlessly flip through homescreens at will instead of having to head the other direction. Naturally they’ve also added some bug fixes, performance and scrolling tweaks and improvements along with the update. The other main feature with this new update is custom folder icons. The new folders in ICS are an awesome improvement but they can look very out of place on a themed device or those wanting to change things up. Now you can completely change the folder and add any icon you’d like (as seen below). check for updates and enjoy!